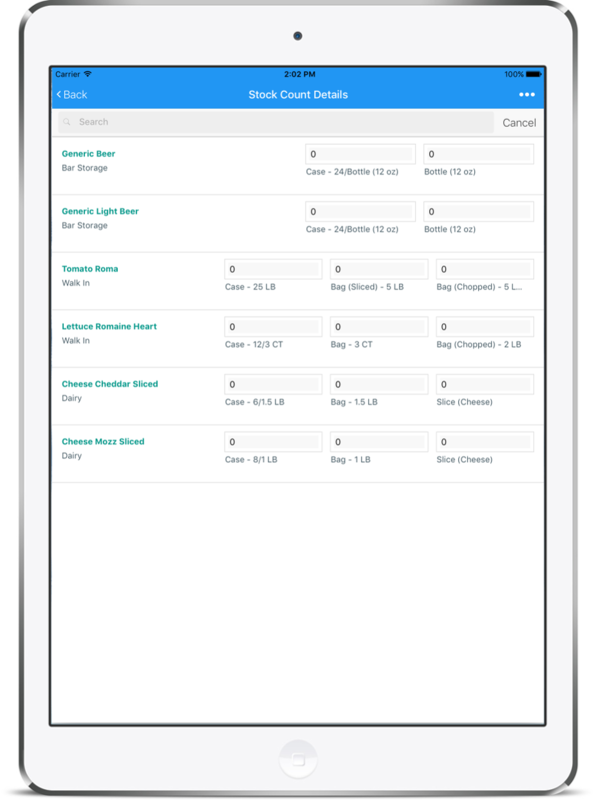 Stock counts can be performed on a mobile device using the Restaurant365 Mobile App available for iOS and Andriod devices. 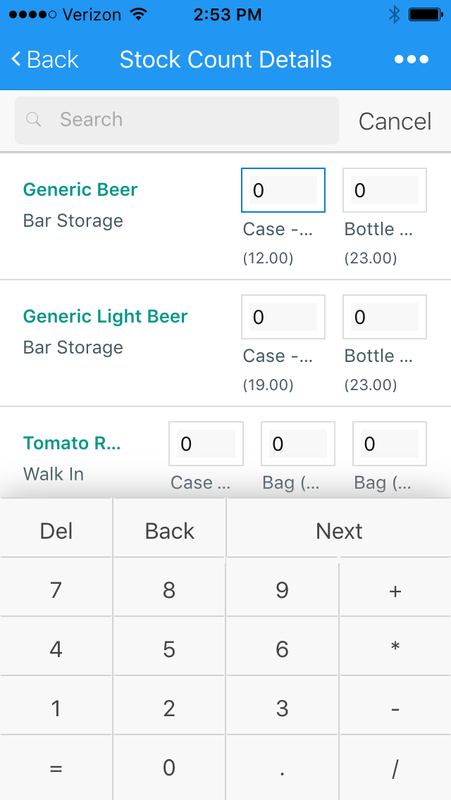 The User can now enter a Qty for each item row of the Stock Count. 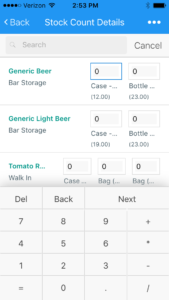 Use the number pad on your device to enter the Qty for each respective U of M and then click the 'Next' button on the number pad to move to the next field. 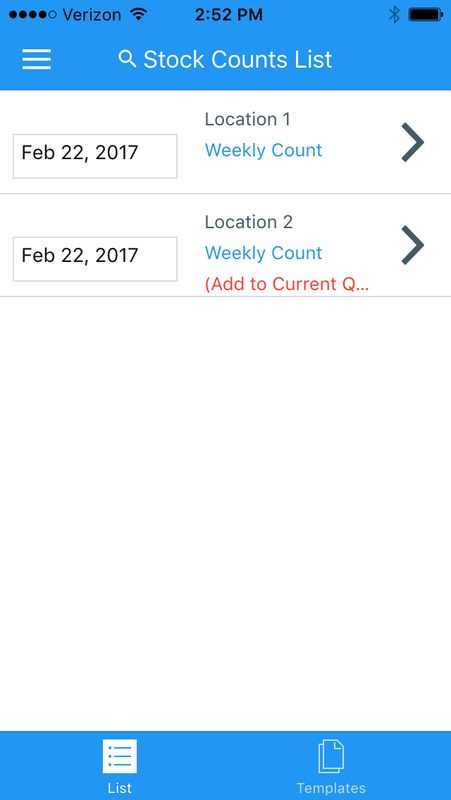 When finished entering all quantities click the menu button in the top right corner (the three dots / ellipses (...). 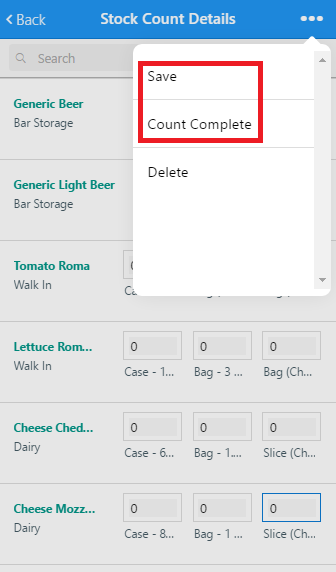 This menu contains the Save, Count Complete, and Delete options. Always ensure to save the quantities entered. 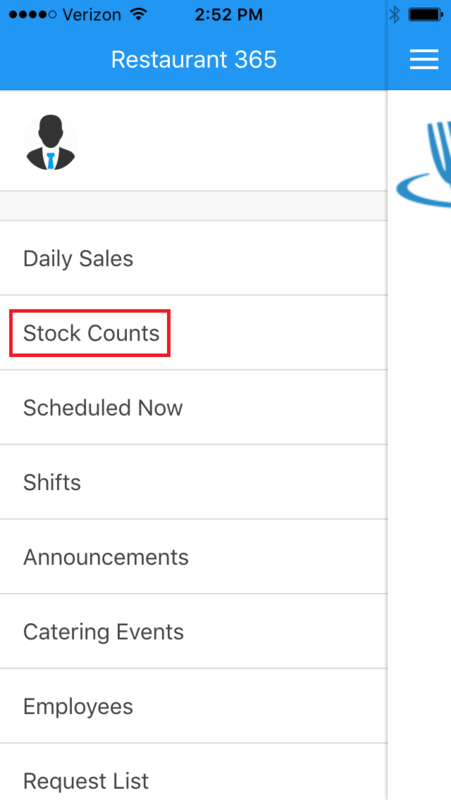 Clicking 'Save' or 'Count Complete' will save the data in the Stock Count, while clicking 'Delete' will delete the Stock Count. 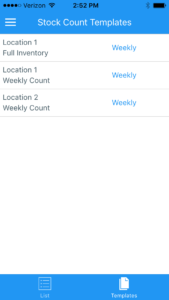 Note: If the mobile device is offline while counting, the quantities entered will be saved to the device. 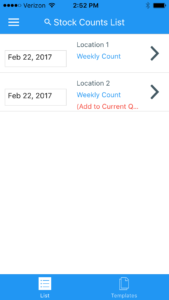 When an internet connection is available the User can open the Stock Count and click 'Save' and the quantities will be uploaded in to Restaurant365. The final necessary action is for a User with the requisite Security Role to Approve (lock) the Stock Count. 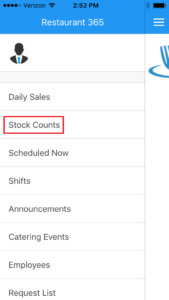 When Approved, the Stock Count will have an affect in the Accounting Module. 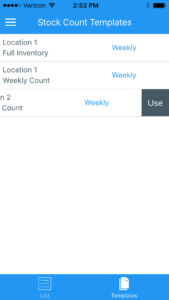 Users with the 'Accounting Manager' Security Role have the ability to Approve Stock Counts. 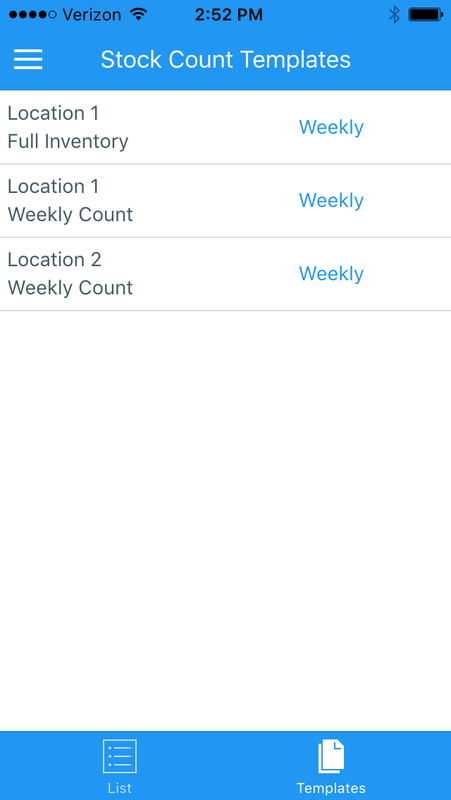 Additionally, Users with the Secondary Security Role 'Approve Stock Count' have the ability to Approve Stock Counts.